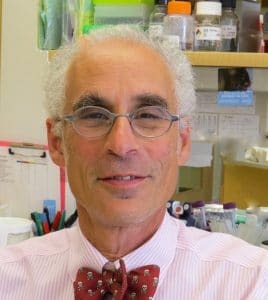 Clifford J. Rosen, M.D., is senior scientist and director, Center for Clinical & Translational Research, at the Maine Medical Center Research Institute. In our latest edition of the Healthspan Expert Q & A, we talk with him about his work. Q: Tell us a little more about you. Q: What inspired you to get into your work? A: I was inspired by mentors. In my fellowship, we would have visiting professors come visit us. In 1981, osteoporosis wasn’t on the radar scene. But when I saw these various visiting professors talk about it, it was what inspired me to do what I do now. Q: Can you share more about your research? A: Over the last 10 years in our laboratory, we have been interested in understanding how stem cells in the bone marrow choose to become either fat cells or bone cells. This has been the thrust of our work and has been funded by the National Institute on Aging (NIA) and other institutes of the National Institutes of Health (NIH). We’ve used mouse models to try to get a better appreciation of how those bone marrow cells are operating in normal conditions and, in particular, during aging. One of the things that we had noted years ago was that aging mice and humans both have very large amounts of marrow fat in their bone marrow. This is not common during younger ages. However, as we progress during our lifetime, it is very common to see the marrow replaced by bone marrow fat cells. So our interest is in understanding the age-related process and how it can be stopped. We have learned from other NIA studies that the more marrow fat in your bones, the less your bone density is and the greater your risk of fracture. So there’s a really important question in the field: How do stem cells decide to become bone or fat? They both have the same common progenitor, but there must be choices made at certain times as these cells define their destiny. Q: And aging plays a big role in your study, including osteoporosis, it seems. A: I’ve taken care of osteoporosis patients for the last 40 years. Fractures occur, and they often lead to very morbid conditions. They cause hospitalizations and they cause secondary complications that can lead to death. But the truth of the matter is that the thing people hate most about osteoporosis is that it represents their aging process. If you talk to osteoporosis patients, they don’t want to be old. They feel it is a disease of the aged. So that has always been an underpinning of our work. If osteoporosis accelerates aging, we need to better understand the aging process. In our studies, the mouse models beautifully recapitulate what we see in humans. So by 24 months of age, most of the marrow in the mouse is replaced by fat. This is a great opportunity for us to study the aging process in a usable model, a rodent model. And that is what we’ve been looking at. Q: Please share more about your recent talk at the NIH on bone marrow aging and the PTH receptor. A: One of the things I had mentioned earlier was that with aging we see this marked increase in marrow fat. The other thing about aging that we see in humans and mice is that parathyroid hormone levels are very high. Parathyroid can be used to treat osteoporosis. But that’s when it is administered as an injection intermittently. In the aging individual, parathyroid hormone levels are high, and they stay very high. Now you have a difference between high levels chronically, which cause bone loss, and intermittent injections, which can stimulate new bone growth. We sought to try to understand that relationship. We theorize that maybe those bone cells are resistant to that parathyroid hormone level. In other words, the levels are so high they are not responding to that parathyroid hormone. So to test this theory, we decided to take out the parathyroid bone receptors in bone cells in mice and see what happened. And sure enough, when we took it out, those animals developed severe osteoporosis at an early age and tremendous increases in marrow fat. This suggests that parathyroid hormone may be important in determining cell fate, and it might be useful in treatment because it is telling stem cells to become marrow instead of fat. So we then took parathyroid hormone and gave it to normal mice, and it showed it could reverse some of those bone marrow fat cells. So that raises some exciting possibilities in the future of designing even more powerful drugs that could lead to the creation of more marrow cells. Q: What are the hopes of your research? A: I have been frustrated by the lack of drugs to cure osteoporosis. We can treat it, but we can’t cure it. If we can understand why this disease develops – we think it is resistance to the parathyroid hormone as described above – then we can design new drugs. But more importantly in our laboratory, we are trying to understand how the aging process depletes stem cells of their ability to make bone, how we can make that change. Virtually everyone as they get older has more marrow fat cells, it is not just the osteoporotic individuals. If we can change that, it might have beneficial effects on a couple of different processes, not just on osteoporosis, but also anemia, chronic renal disease. All of these conditions might be impacted by our ability to move these cells into a separate phase, the bone phase. Q: Do you hope that your research will help us live healthier lives? A: I think the lofty goal is life extension, but to be more realistic those studies are expensive, and the outcomes are quite mixed. Treating the maladies that reflect the aging process is more attainable as a goal. I am more in favor of geroscience to study the maladies that affect the aging organism and how they’re accelerated in certain conditions. We need to target not just the pathology behind a disease such as osteoporosis, but get more deeply into what the aging process really reflects and how we can manipulate and change that to target a specific disease. Q: Do you do research on aging and how it affects muscle loss? We are getting very interested in this area of research. We think a lot of the fat definition that occurs in muscle is very akin to what we see in the bone marrow. We are interested in understanding the factors that secrete from muscles during exercise that may prevent those age-related changes in healthy people. If we get people to move and exercise, if that is altering the balance of those cells toward bone rather than fat, then that is a strategy that is applicable to a number of diseases of aging. Q: How important is prevention? A: I am a huge believer in this. I run five miles a day. Why? I think about prevention. I am not thinking I have a disease, and I am going to make it better. I am thinking about if there is a way to prevent it. So I think prevention is our ultimate target.